I am new to the whole tofu thing, and I made the mistake of picking up silken tofu instead of firm tofu. Honestly I did not know that there were different kinds. Apparently according to Peta there is even technology available to make CloFu (George Clooney scented Tofu) –I think that is dancing a close line to cannibalism. 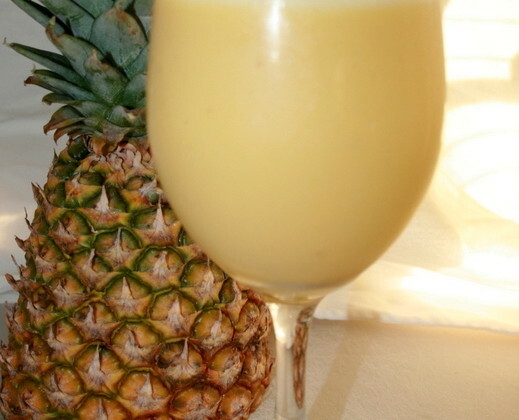 I figured a breakfast smoothie was a terrific way to use up the tofu, and combined with fresh pineapple and frozen orange juice it was a refreshing breakfast option. Put all ingredients into blender and pulse until desired consistency. Sit in the warm morning sun and ENJOY!